Meghan Markle may have won the heart of Queen Elizabeth when she married Prince Harry, but she is still not the monarch’s favorite — and no, it is not Kate Middleton either. According to royal commentator Neil Sean, Queen Elizabeth’s favorite is a less popular member of the royal family, and she has been the Queen’s go-to person whenever she likes to have a nice chat. Contrary to reports that Duchess Meghan and Queen Elizabeth share a cold relationship, the former “Suits” star and the head of the British royal family are actually close. When Meghan joined the royal family, Queen Elizabeth was there to receive her with a warm welcome, and their amicable relationship continues until today even though their principles tend to be at odds sometimes. Despite the relationship that they have built, however, the monarch still does not consider her as her closest confidante in the royal family. 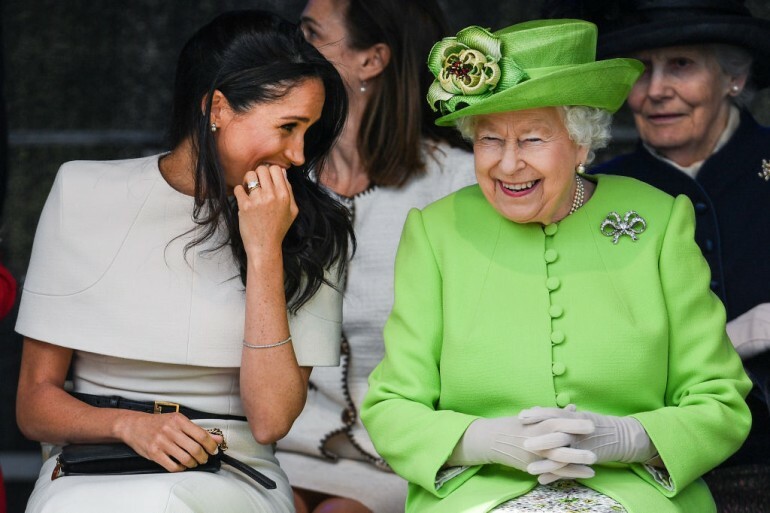 The Duchess of Sussex comes a little behind the Countess of Wessex when it comes to the Queen’s list of favorites. Sophie Wessex, the Countess of Wessex, is the wife of Queen Elizabeth’s youngest son, Prince Edward, and has been the monarch’s favorite for a long time. The Queen particularly adores Sophie because of her unassuming and naïve nature and their shared love for horses and military history. Unlike Meghan, Sophie has endeared herself to her mother-in-law without even trying. “I would say Meghan has ingratiated herself very cleverly with the Queen,” said Sean. “We saw last year them going on the trip and the royal train and all that sort of stuff … I think the Queen herself is very much a girls’ girl and she does try and connect with the younger members of the family and guide and nurture them,” he added. According to Sean, the help that the Queen extended to Meghan during her transition into royal life was the kindest thing she had done to any person coming into the royal family. However, there are times when the Queen’s ways clash with Meghan’s. The Queen’s relationship with Sophie is different. The monarch loves the fact that she is a quiet and efficient figure despite being a royal and how she does not seek attention or acquire headlines. A couple of years ago, Queen Elizabeth increased the royal roles of Sophie and husband Prince Edward — an indication of how much she trusts them. “He and Sophie are liked for being dutiful and uncomplaining,” a royal correspondent said.